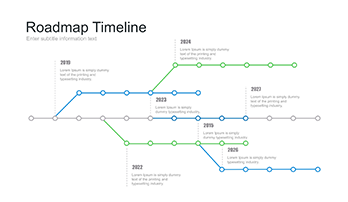 Strategic Roadmap Template - Free Download Now! What is the Strategic Roadmap Template for? If you’re looking for an easy and quick way to make projects, prepare for a meeting, you’d better use a premade “assistant” that will simplify your work and save a significant part of time. If you do not have special software or don’t like to use then, you can work in Google cloud technology – Google Slide. This service has certain advantages although there are also some disadvantages. An undoubted plus is that the service is fully free. Anyway, if you choose Google slide to create projects, we can offer you our premade slide. 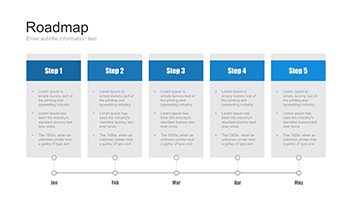 The Strategic Roadmap Template is a convenient infographic that will help you to make a professional well-structured report, analysis, project. 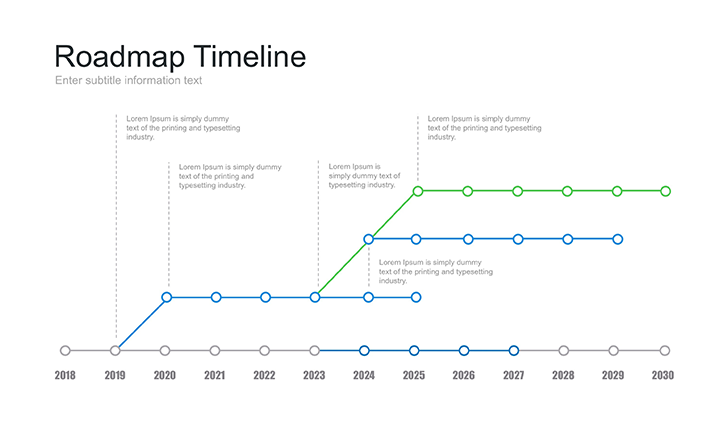 The slide is devoted to the timeline. 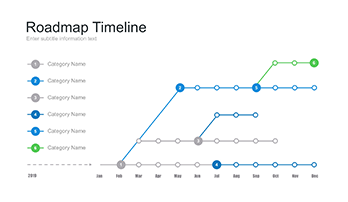 With its help, it is easy to visualize information, describe the stages of company’s development, note its perspectives, show the chronology of events, express the sequence of actions. In general, all infographics are very popular nowadays and widely used. Thus, we can offer a great variety of them. Each slide is unique and professionally-developed. High quality. Our slides are made by true professionals and tested. Therefore, you are insured against any visible defects when use the projector to demonstrate your presentation. A multipurpose template. Our slides are multipurpose and can be used for any purposes. This slide can be useful either in marketing and business or education, history, science, research. Built-in tools. Vector elements are editable. A premade easy-to-use slide. If you use such slide, you will present yourself as a professional, make a unique projects of high quality, and create a positive impression. Moreover, you will make the project very quickly.